Before I get to this week's news, I have a small favor to ask of all of you. I'm thisclose to taking the lead in Epikur magazine's Writer of the Year competition, which runs through the end of this month. Please cast a vote for me (Michael) at the voting page, then come back and finish reading this column. 'Yunkers rejoice! The Manayunk Brewery and Restaurant (4120 Main St., 215-482-8220) now offers a gluten-free menu that includes burgers and chicken sandwiches with buns, ribs and new desserts from "Best of Philly" winner The Little Bakery in Blue Bell - flavored mousses sandwiched between gluten-free ladyfingers-style circles. Alas, no gluten-free beer yet, but there are wines and cocktails. Despite the similarity in name to a well-known, lasciviously-named sports bar, Racks Restaurant & Sports Bar in Atco, New Jersey (286 White Horse Pike, 856-719-1500) offers more gluten-free options. Everything from chicken tenders and wings to burgers and sandwiches are noted on the menu. Racks' weekend breakfast menu includes a gluten-free breakfast sandwich and omelets. Most items at Ole Tapas Lounge & Restaurant in Newark, Delaware (1126 Capitol Trail, 302-224-9378) can be prepared gluten free. PBandU has closed its original location in Wayne, but is still operating at the Moorestown Mall. The store can prepare sandwiches on gluten-free bread. Buca di Beppo's location in Wynnewood has closed; spots in Exton and Reading are the remaining area restaurants. Earlier this week, contributing writer Jason Hewett shared his thoughts on the gluten-free burger and fries at the Red Robin chain, which is opening its newest area location at the Deptford Mall next month. 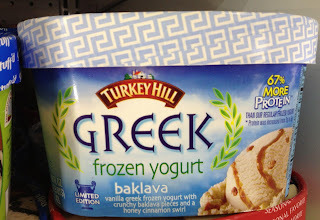 While doing some grocery shopping earlier in the week, I spotted a new flavor from Turkey Hill: baklava Greek frozen yogurt. Out of curiosity, I checked the label and the only ingredient that gave me pause was "corn cereal." I called the company's consumer relations line the next day and a rep confirmed that the dessert is gluten free. So enjoy! 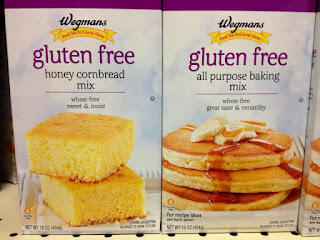 Wegmans has added to its house-brand gluten-free product line with a Honey Cornbread Mix and an All Purpose Baking Mix. 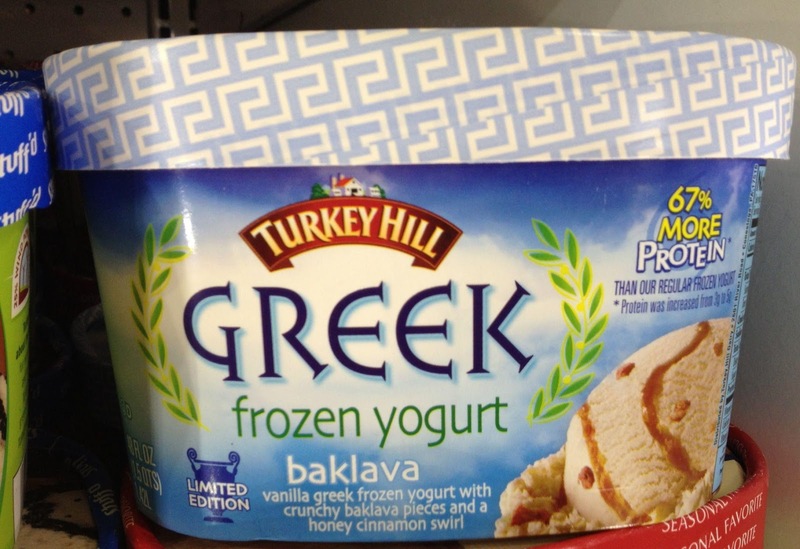 These, like the dessert mixes, are priced at $3.49 each. The Little Bakery in Blue Bell (921 Penllyn-Blue Bell Pike, 267-708-0984) is hosting a gluten-free cooking workshop on site this Tuesday at 7 p.m. Topics include flour mixes, substitutions, breakfast menus, soups, salads, dinner menus,desserts and party hors d'oeuvres. Cost is $40 and space is limited; call to RSVP. The bakery's sweets are now available at new locations, including George's Shop n Bag in Dresher and the Coventry Deli in Center City Philadelphia. If you're a car buff, check out the 2013 Philadelphia Auto Show's Black Tie Tailgate on Friday, Jan. 18 at the Philadelphia Convention Center, where you can dine and dance among the vehicles on display. The event will feature a top-shelf bar and cuisine by Stephen STARR Events, with gluten-free options available. Proceeds from the event will benefit the Division of Gastroenterology, Hepatology and Nutrition at The Children’s Hospital of Philadelphia, which includes the Center for Celiac Disease. Love your blog as well and try to read it every week but just saw your request to vote for you for writer of the year and dissapointed to see voting has closed for me to vote. Would be great if you could offer an email distribution list to be added to to receive your latest write up each week. Want to make sure I can keep up with the latest gluten-free offerings, and to get my vote in for you for 2013 writer of the year! Paul - you can sign up for emails through the widget on the right-hand side of the home page. Thanks for your support! Just read your post from 1/18 and tried voting again. Casted my vote, only 33 votes from 1st place!